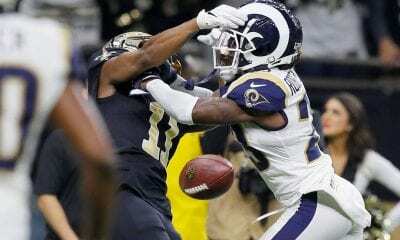 As long as the Los Angeles Rams continue to score, Tiebreaker.com will offer all the love and support they deserve in our weekly NFC power rankings. 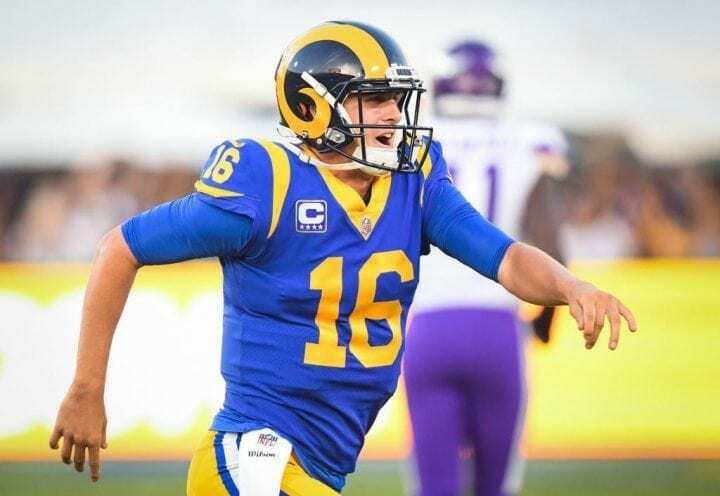 Jared Goff has already thrown for 1,406 yards and his offense leads the NFL, averaging 468.5 yards. This is amazing considering how many doubters Goff had when his career began. Credit his offensive-minded head coach, Sean McVay, who Todd Gurley said never sleeps. 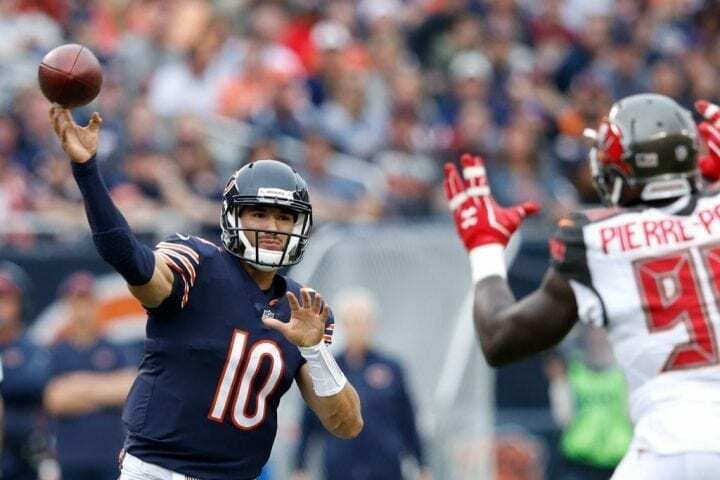 This is an act of faith in Mitchell Trubisky, who threw six touchdowns pass against Tampa Bay on Sunday. Mr. T, who has completed 70.0 percent, has weapons to work with, RB Tarik Cohen our personal favorite. But it’s the defense which stands out with Khalil Mack (five sacks) and Akiem Hicks (three) on the loose. 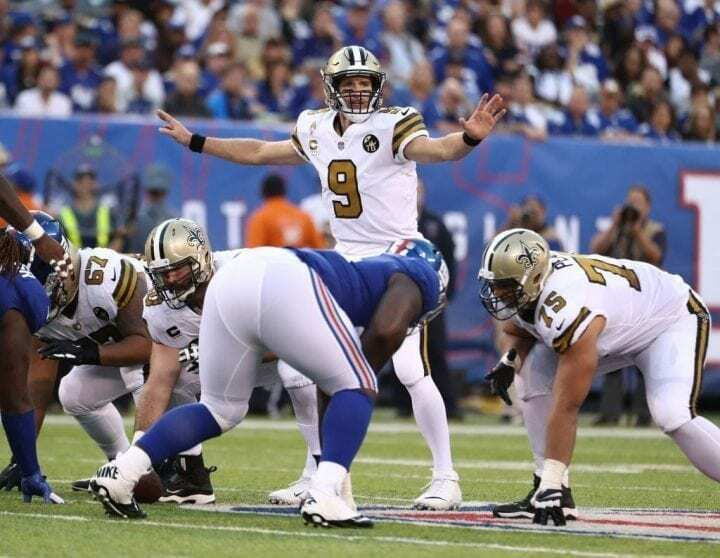 Drew Brees is within 200 yards of Peyton Manning for the most passing yards in league history and he shows no sign of arm fatigue, as Michael Thomas (42 receptions) can testify to. They are off their best start (3-1) in five years. But the defense has already allowed five TD passes of over 30 yards. The Eagles offense, which ran so effectively in last year’s Super Bowl run with Nick Foles, has yet to find its groove with Carson Wentz back. But we feel it’s only a matter of time before it does. The Panthers lead the NFL in rushing (166.0), with Christian McCaffrey (271) leading the way again. Of course, this only makes things easier for Cam Newton, although he really hasn’t been able to utilize his wideouts yet. Like seemingly most teams this season, the defense (seven red zone TDs) has been a big problem. Aaron Rodgers still doesn’t look right, but that can be expected because of his knee and the fact he has the weight of his franchise on his back. They shut out the bad Buffalo Bills 22-0 on Sunday with 423 yards of offense, but Rodgers was very unhappy with the effort. The defense picked up its first shutout since 2010, limiting the Bills to 145 yards. last week, tying the record for fewest carries in a game. They have only 13 in the last two weeks. Their 416 yards on 107 attempts are last in the league. The Seahawks didn’t have a particularly good day against the Arizona Cardinals on Sunday, barely beating a winless team on a last-second field goal by Sebastian Janikowski. And then they lost disgruntled safety Earl Thomas to a broken leg just as trade talks with the Kansas City Chiefs and Dallas Cowboys were heating up. But Russell Wilson is what keeps them so high on this list. Look, the Chiefs understand they made the right decision by trading Alex Smith to the Redskins to make way for the luminous Patrick Mahomes. Our question is how the Redskins feel now about letting Cousins to go in favor of Smith, who has thrown for only 767 yards with a running back, Chris Thompson, his favorite target. No wide receiver has caught more than nine passes so far. Well, it was fun while it lasted, wasn’t it? After setting the league ablaze in the first three weeks, Ryan Fitzpatrick was benched in the midst of Tampa’s 48-10 debacle in Chicago and replaced by incumbent Jameis Winston. Winston will start when the Bucs return from their bye on Oct. 14 against the Atlanta Falcons. But why blame the Harvard man? The defense was just terrible. Wow, the Cowboys beat the Detroit Lions 26-24 on a last-second field goal by Brett Maher! Are we expected to change our opinion? There are two things we admit are impressive: Ezekiel Elliot leads the NFL in rushing (426 yards) and Demarcus Lawrence has been a beast (5 ½ sacks). It’s Dak Prescott that’s troubling. His QB rating is 85.16. Remember for a moment that Falcons head coach Dan Quinn is considered a defensive specialist. He was the defensive coordinator in Seattle when the “Legion Of Boom” was detonating. So why are the Falcons last in the league in a number of major categories? Matt Patricia is getting the Lions back on track, as their win over the New England Patriots and close call against Dallas seem to show. If this season is about changing the culture of the organization, we’d wait until last quarter of the schedule before passing judgment. 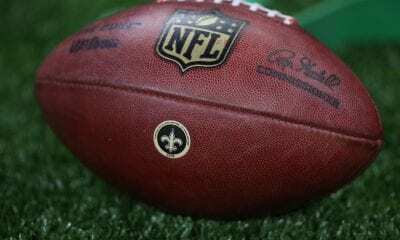 If the players buy into all the new rules – as the New York Giants had to under Tom Coughlin – this could eventually work out. The last thing the Giants wanted was to get off to a bad start after finishing 3-13 in 2017 and passing up on Sam Darnold, Josh Allen and Josh Rosen as successors to Eli Manning. But after Sunday’s loss – and we all knew this was inevitable – much of blame for New York’s stagnant offense is being placed on Eli. The theory is to move a player a year too early than a year too late. We’ll see how this plays out. We are not here to bash C. J. Beathard. He didn’t look that bad in Sunday’s loss to the Los Angeles Chargers in his first start in place of the injured Jimmy Garoppolo. He completed 23-of-37 for 298 yards including a nifty 82-yard catch-and-run TD to tight end George Kittle. It’s just that the Niners are 1-10 when Beathard starts and there is not enough talent below him to change that this season. 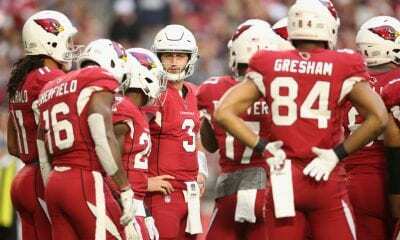 The Cardinals are exponentially better at QB now that Rosen has the job and he showed his ability, completing 15-of-27 for 180 yards, one TD and a passer rating of 88.5 in a loss to the Seahawks. What betrayed him were a number of drops; even Larry Fitzgerald was guilty. But Rosen has everything Sam Bradford no longer does and there really is nothing to lose at this point.